Think2Read is a UK not-for-profit organisation that is committed to helping teachers fulfil the reading comprehension, transferable thinking and co-operative learning potential of children of all abilities. The Think2Read Programme offers a complete teaching resource that systematically helps you teach reading comprehension skills the reciprocal way from the early years upwards. Children learn progressive skills that show them how to question, find meaning for themselves and become enthusiastic readers with a passion for group enquiry.The programme has grown organically out of 10 years of research, school trials and evaluations by experts in the literacy field. Founder Donna Thomson began researching into effective ways of developing early comprehension skills and child-led group enquiry in 2001. Parkin, Parkin and Poole’s meta-cognitive questioning techniques (‘Probe’ Triune, 1999). During this period the programme has been funded and supported by Dartington Social Research Centre, Devon Education Services and RIO (Real Ideas Organisation) in association with British Arts Council’s Creative Partnerships 2008 – 2011 and is endorsed by the National Literacy Trust. The whole-school programmes are now available as online downloadable resources for primary and secondary schools on this website. Donna’s first comprehension book (Quick Fix for Year 6 Comprehension, 2007 – ERA Finalist 2007) based on the Think2read approach, was written with Year 6 colleague Ruth Nixey for Key Stage 2 children and has became a best-selling resource. The programme was developed further to include instruction for Key Stage 1 children in 2007. This led to ongoing success with the Scholastic ‘Literacy Skills Comprehension’ series in 2009, written with children’s author Elspeth Graham. This was followed by the internationally successful ‘Nelson Comprehension’ series written with series editor John Jackman, authors Wendy Wren, Sarah Lindsay and Doug Dickinson. The more recent ‘whole-school’ downloadable Story Talk, Reciprocal Team and Comprehension Skills programmes (2012) deliver the meta-cognitive and dialogic elements of the Think2Read approach more explicitly over 33 sessions (see ‘Story Talk’ ‘TEAM-building’ and ‘SPECtacular Reading Mission’ on this site for more details about the whole school digital programme modules and whiteboard lesson resources). The new ‘Story Talk’ 3 – 6 year olds school package (Early Years ERA Finalist, 2015) includes downloadable whiteboard teaching materials, print-out activities and interactive Bookmarks Kit with picture book for home and school use. The Team – Education Resources Awards Finalists, 2015 (‘Supplier of the Year’) . “If we want our children’s literacy skills and learning to improve and reading to become a life-long pleasure, we need to teach them strategies for ‘making meaning’ as they read – right from the beginning”. Donna’s explicit comprehension resources were devised to provide teachers with the essential meta-learning steps that help young children to independently apply inference, comprehension skills and questioning techniques to self-monitor their reading and understanding. These explicit teaching and learning steps were missing from National Literacy Strategy guidelines (see report on Think2Read methods by Maureen Lewis, NLS, 2005) and unavailable as teaching materials to schools until Donna’s resources were published in 2006. Donna set up Think2Read in 2006 to provide CPD training, further resources and research action projects to help schools to facilitate more independent and collaborative reading for meaning, learning and enquiry across the curriculum. ‘I am thrilled I can continue to be involved in this innovative approach to developing the important skills essential for imparting a life-long love of reading for meaning’. Bea came to teaching late in life having had successful careers in the arts and law. Prior to qualifying as a teacher, she worked alongside Donna Thomson pioneering methods to support young children in literacy. ‘I found teaching to be the most satisfying occupation especially finding ways to inspire young learners’. Over her ten years as a teacher she has taught in every primary year group and has been a Lower Key Stage 2 leader and Literacy Co-ordinator for a large primary school in Devon. Bea was also Lead Practitioner for the Think2Read/ Creative Partnership’ s Change Schools Programme (2008 – 2011) that involved a whole school evaluation of the impact of Think2Read’s Comprehension Skills programme on primary children’s collaborative reading and independent learning. In 2012 Bea left teaching to join Think2Read as a director and nationwide consultant /trainer for Think2Read. Elspeth studied Law at Exeter University before going on to qualify as a teacher. She is passionate about children’s books and has a particular love of illustration. Elspeth has been writing material with Donna Thomson for the ‘Think2Read’ programme since 2007 and more recently for the Drawstring Partnership’s ‘Transferable Thinking Power’ project. She co-wrote ”Comprehension Literacy Skills Years 1 – 6”, 2009 (Scholastic) with Donna and was a consultant for the Nelson Comprehension Teaching and Assessment Series – Years 1 – 6, 2009 (Nelson Thornes). She first began writing books for children in 1992 and has written reading scheme books for Collins educational, KS1 and KS2. She was a core writer for the Oxford Literacy Web Reading Scheme KS1 and was joint writer of the Oxford Literacy Web Anthologies and Teacher’s Guides KS2 (and Year 2). 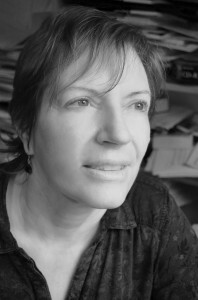 She writes non-fiction books for KS1 and KS2 and has also co-written long-text picture books for Walker Books and Candlewick Press (USA) with husband and award-winning writer Mal Peet. Dr. Maureen Lewis’s report of visit to Year 5 & 6 class, Dartington Primary School on behalf of the National Literacy Strategy , March 11th, 2005. Literacy & Language e.g: summarising, prediction, vocabulary skills – plus understanding of literal,inference, evaluation questions. Measuring summarising, prediction, vocabulary and literal, inference, evaluation skills alongside decoding skills – PM Benchmark Accompanying PM BENCHMARK KIT 2 (for decoding assessment). A pilot study to investigate and evaluate the teaching of literal and inferential comprehension to children in Primary Year 2 supported and funded by Devon Educational Services. Team Members: Donna Thomson, Dr. Ros Fisher, Exeter University, Honiton Primary School, Newton Abbot Primary School, Devon. The RIO/Creative Partnerships Change Schools programme enabled Dartington Primary School in partnership with Think2Read to evaluate the impact of Donna Thomson’s explicit comprehension skills and transferable thinking programme. The programme supported the creative development of the whole school and encouraged child-initiated enquiry across the curriculum. Team Members: Donna Thomson & Think2Read team – Bea Gill, Elspeth Graham, Katie Wood & Elise Sadler; Robert James, Head teacher of Coed-y-lan Primary School, S. Wales; Nichola Thorpe, Executive Head of Worsbrough Bank End Primary & Hunningley Primary, Barnsley. Think2Read in partnership with primary schools to evaluate the impact of the ‘Story Talk’ programme on family reading for meaning, communication skills and shared enjoyment of books at home and in school in disadvantaged communities (Nursery, Reception and Year 1).